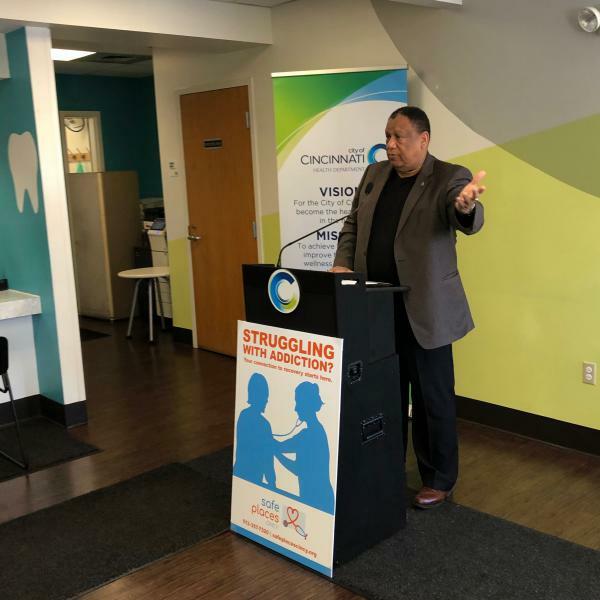 On March 18, Cincinnati City Councilwoman Amy Murray, Cincinnati Health Commissioner Melba Moore and Interact for Health President and CEO Dr. O’dell Owens introduced Safe Places Cincy, a pilot program to proactively address addiction issues in our community. Those struggling with addiction can walk into City of Cincinnati Health Centers during business hours. Specially trained health department staff will evaluate each person, doing a basic assessment of his or her health and treatment needs. If the individual needs emergency care, he/she will be transported to a local hospital. If the individual does not need hospital-level care, health department staff will work with one of three treatment providers (Talbert House, Center for Addiction Treatment or BrightView) to connect the person with treatment. The person will then be transported to the treatment facility via UberHealth. Funding for the rides is being provided by a $10,000 grant from Interact for Health. The program is for anyone with substance abuse addiction, not just those using opioids. It is open to people who live in Hamilton County or are eligible for Ohio Medicaid. For more information about Safe Places Cincy, please call 513-357-7320 or visit www.safeplacescincy.org.